In compliance with the Information Society and Electronic Commerce Services Act 34/2002, of 11 July 2002, GTI SOFTWARE & NETWORKING S.A. (hereinafter, THE COMPANY or GTI) informs the users of the website http://gtidistributor.com/​ (hereinafter, the "Website"), of which it is the owner. 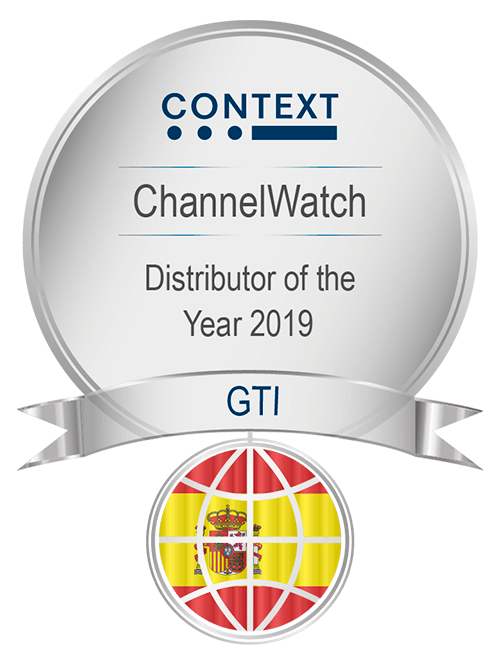 GTI is a company with head offices in Edificio Europa, 2nd Floor, Parque Empresarial San Fernando de Henares, 28830 San Fernando de Henares (Madrid), with Fiscal Identification Number A78098308 registered in the Madrid Mercantile Register No. 2, Tome 850 General, 808 of the 3rd Section of the Companies Book, Folio 39 Page Number 67-599-2, 1st registration and email address dosi@gti.es. The personal data the user provides voluntarily to THE COMPANY by completing the forms on the Website will be included in an automated file owned by and the responsibility of THE COMPANY. Said personal data will be processed for the sole purpose of replying and attending to the requests for information made by users, to manage users' orders and for sending commercial information and product offers, provided that this has been consented to by ticking the box provided for that purpose on the Website, on new products and services, special offers, promotions and innovations related to the activity of THE COMPANY, through any channel, including electronic media. GTI will be the body responsible for said data and will process them in accordance with its processing activities registry. In order to be able to offer you products and services in keeping with your interests and areas of work, we will prepare a “commercial profile” on the basis of the information provided. No automated decisions will be taken on the basis of the aforementioned profile. The personal data provided will be kept while the commercial relationship is maintained or their suppression is not requested by the interested party. The user must complete all fields of the form with truthful, complete and current information, with the exception of those data that are indicated as optional. Otherwise, THE COMPANY will not be able to attend to the request. The data requested are those strictly necessary for THE COMPANY to be able to attend to the request of the user. The user guarantees that the personal data facilitated to THE COMPANY are truthful and agrees to communicate to it any modification of said data. You will be responsible for providing truthful information, guaranteeing the authenticity of the data you enter when filling in a form. By ticking the acceptance box provided for that purpose we assume the granting of unequivocal consent for the processing of the users' personal data for the purpose of sending commercial information on offers, new products, products and services, promotions and innovations related to the activity of THE COMPANY, through any channel, including electronic media. THE COMPANY commits to handling all the data collected from registered users with the maximum confidentiality. THE COMPANY has adopted the required personal data protection security measures and will attempt to install those other additional means and technical measures available to it to prevent the loss, abuse, alteration, unauthorised access and theft of the personal data provided. GTI declines any responsibility for any information, whether on this website or not, that is not managed directly by it. It reserves the right, without prior notification, to modify and update the information contained on its Website or to modify the configuration and presentation of it, as well as to temporarily suspend access to it. However, taking into account Articles 11 and 16 of the Information Society and Electronic Commerce Services Act, it commits to withdraw or, where applicable, block those contents that may affect or contravene national or international legislation, third-party rights or public morals and safety. Both access to this Website and the use that may be made of the information contained in it is the exclusive responsibility the person who carries it out. GTI will not be responsible for any consequence, harm or damage that may result from the aforementioned access or use of the information. Likewise, it will not be responsible for any possible security errors that may occur, nor for possible harm that may be caused to the user's computer system (hardware and software), or the files or documents stored in it, as the result of a virus in the user's computer used to connect to the services and contents of the Website, for incorrect functioning of the web browser or for the use of versions of it that have not been updated. Likewise, GTI reserves the right to update, modify or delete the information on the Website, as well as its configuration or presentation, at any time, without assuming any responsibility for it. GTI makes the maximum effort to avoid errors in the content published on the Website. All the contents offered on the Website are up to date and GTI reserves the right to modify them at any time. GTI will not be responsible for any consequences that may derive from errors in the contents that may appear on the Website. Likewise, the user is forbidden from including and communicating contents that are false or inaccurate and that lead or may lead to errors on the part of other users or the GTI staff, in particular contents that are protected by any intellectual property, industrial or image rights or other rights of a similar nature, belonging to third parties, when that results in a violation of the current legislation, they do not have the authorisation of the rights owner, undermine or discredit the reputation or credit of GTI, are considered as an attempt at illicit, misleading or false advertising and/or incorporate a virus or any other electronic element that could damage or impede the operation of the Website, the network, the computer equipment of GTI or third parties, and/or access to the Website by the rest of the users. THE COMPANY reserves the right to modify this policy to adapt it to new legislation or legal rulings, as well as to industry and/or trade practices. In such an event, THE COMPANY will announce the changes made on this Website. GTI does not guarantee that there will be no interruptions or errors in access to the Website, nor will it accept any responsibility for technical problems or breakdowns that may occur during the internet connection. The provision of the Website service and the other services is, in principle, for an indefinite duration. Nonetheless, GTI is authorised to terminate or suspend the provision of the service at any time. Any person has right to obtain confirmation whether in GTI we are handling personal data that concern them. Users have the right to access their personal data, as well as to request the rectification of any inaccurate data or, where applicable, request their suppression when, among other reasons, the data are no longer necessary for the purpose for which they were collected. In certain circumstances, users will be able to request the limitation of the processing of their data, in which case we will only keep them for the exercise or defence of claims. In certain circumstances and for reasons related to their particular situation, users will be able to oppose the processing of their data. GTI will cease to process the data, except for imperative legal causes, or the exercise or defence of possible claims. You can send your communications and exercise your right to access, rectify, cancel, oppose and limit the processing of your data and request their portability by contacting THE COMPANY in writing at the following address: dosi@gti.es, attaching a copy of your National Identity Card or another official document that confirms your identity. To exercise these rights, you must prove your identity by sending a photocopy of your National Identity Card or by any other lawful means. Terms & Conditions © Copyright 2019- GTI Software y Networking, S.A.